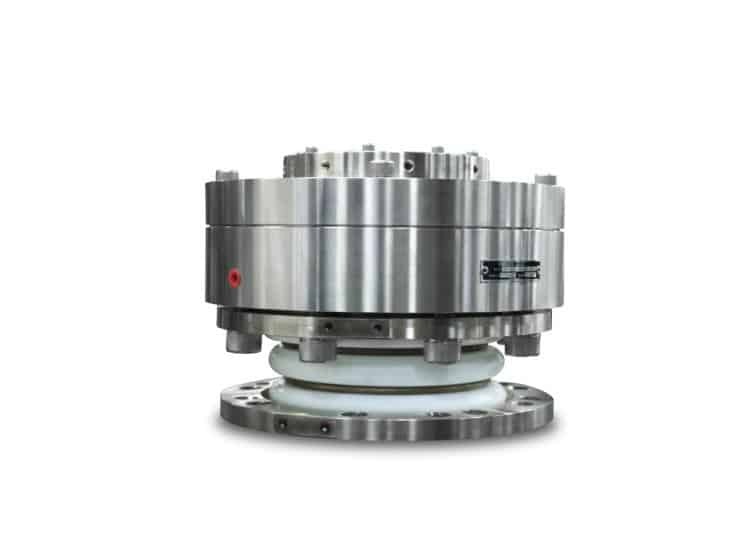 The 3-D Mixer/Agitator seal is design to operate in equipment where shaft movement, in all directions, is excessive and where the shaft must be sealed. The 3-D seal will accommodate up to 1.00 in / 25.4 mm shaft movement. The 3-D seal uses P/S® technology, a bearing to maintain a state of parallelism between the seal body and the shaft, as a sealing set. An expansion joint acts as a flexible member and absorbs the movement. Please note larger expansion joints will accommodate more movement than smaller ones. Repair kits are available for easy repair.